The high turnout and lower level of violence than many had expected are a testament to how non-violent conflict resolution and peacebuilding can multiply and solidify the investments of the United States and the sacrifices made by American troops. The potential for international assistance to help resolve electoral disputes that have cropped up in the past week illustrates the need for continuing engagement. Organizations like the United States Institute of Peace, which we both serve, have been helping create the conditions for a peaceful transition that will make Afghanistan more stable and less violent, while improving the lives of the Afghan people. 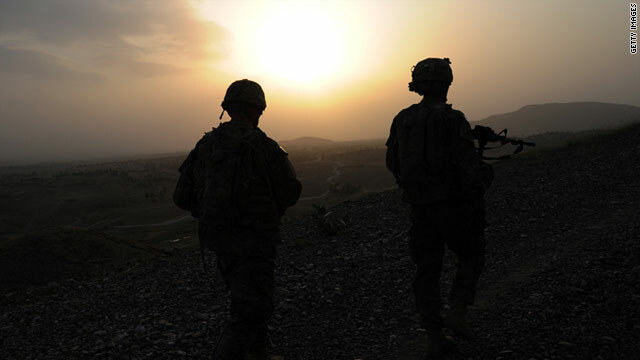 A stable and prosperous Afghanistan can be a vital ally of the United States in a troubled region, and will help ensure that al Qaeda and its associates never again gain a foothold in the region’s mountains and valleys. Investing in the powerful tools of peacebuilding is both effective and cost-effective, but peacebuilding takes time. Some of the best-spent dollars are those used to prevent or reduce conflicts that can engulf regions and threaten American interests, investments that foster strong allies and partners. We should heed the lessons of our experience in Germany and South Korea, where our unflagging, long-term commitments in the aftermath of war have established thriving partnerships with now-critical allies. For the past several years, U.S. and other international organizations in Afghanistan have been supporting local institutions and civil society groups, working hand-in-hand to develop and employ innovative approaches that would help ensure a credible, inclusive and transparent election. Afghans organized forums where women challenged presidential hopefuls on economic, political and social issues, and the country’s burgeoning media outlets promoted an almost non-stop run of televised candidate debates. At the grassroots level, activists organized poetry competitions that drew on treasured Afghan traditions, and ran a radio show to raise awareness about rule of law. There was even a rap video contest to devise an election anthem, and graffiti promoting a peaceful election, to engage the youth who are so important to the process and to Afghanistan’s future. The Afghan-led efforts were underpinned by research, expertise and financial backing from the U.S. and other international donors. The outcome might help U.S. troops and their NATO-coalition partners to withdraw most of their military forces, as planned, with greater confidence that the gains won by more than a decade of fighting can be sustained. Tools for preventing, mitigating and resolving violent conflict – national or interfaith dialogue, facilitation skills, multiparty negotiations, and education and training to build support for the rule of law are just a few – will become only more crucial as technology spreads and global power becomes more diffuse. And the costs of such tools are relatively modest. USIP’s recent annual congressional appropriations of about $35 million equals approximately the amount needed to field one light infantry rifle platoon in Afghanistan. Imagine what we could achieve with even more concerted efforts and funding for peacebuilding and conflict resolution. Well-done and well-resourced, peacebuilding can help prevent the loss of American lives, enhance American security and preserve U.S. tax dollars, while relieving human suffering and demonstrating America’s commitment to peace. It maximizes other U.S. government investments in diplomacy, foreign assistance and the armed forces. It also strengthens local institutions around the world that can sustain long-term campaigns against deadly violence for decades after America’s investment ends. Next entry »On GPS Sunday: The costs of the climate crisis, and are we facing 1914 redux? « Previous entryHillary Clinton’s truly hard choice: Change or continuity? Thanks for sharing this interesting write up with us. It is very informative and you are obviously very knowledgeable in this area. I found this on Reddit Here's the thing, I love your posts. I simply must tell you that your pages are great. Thanks for sharing this interesting article with us. Seasoned Google Plus pros would really like your page. I will bookmark this website. A lot of things to take into consideration. A good article. Any team would be lucky to have you on it. This information is magnificent. You have a lot of knowledge on this subject. Can you write more about this subject?